Ageing is widely recognised as one of the social and economic challenges in the contemporary, globalised world, for which scientific, technological and medical solutions are continuously sought. This book proposes that science and technology also played a crucial role in the creation and transformation of the ageing society itself. Drawing on existing work on science, technology and ageing in sociology, anthropology, history of science, geography and social gerontology, Science, Technology and the Ageing Society explores the complex, interweaving relationship between expertise, scientific and technological standards and social, normatively embedded age identities. 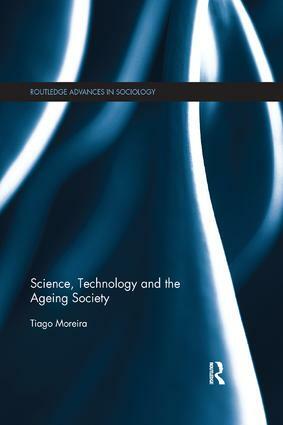 Through a series of case studies focusing on older people, science and technology, medical research about ageing and ageing-related illnesses, and the role of expertise in the management of ageing populations, Moreira challenges the idea that aging is a problem for the individual and society. Tracing the epistemic and technological infrastructures that underpin multiple of ways of aging, this timely volume is a crucial tool for undergraduate and graduate students interested in social gerontology, health and social care, sociology of aging, science and technology studies and medical sociology. The end of the ‘ageing society’?